Dr. Jared O'Connor has given his parents a promise--to find his dead brother's fiancee and child. 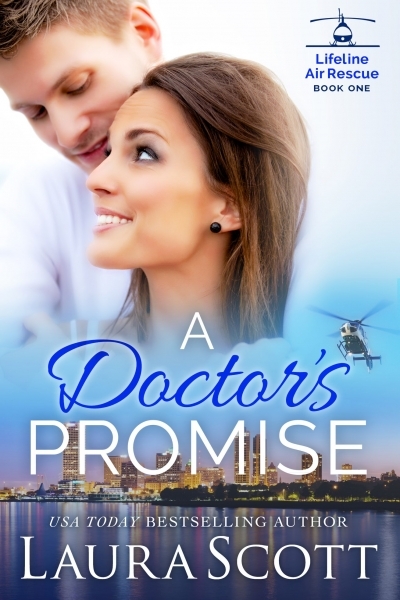 But his mission is derailed when he meets beautiful flight nurse Shelly Bennett. The sadness in her eyes, mirrors his own, and he is drawn to her and to her young son in a way he's never experienced before. Shelly can't afford to be distracted by Jared's attention. Her son's upcoming testing may confirm he has kidney failure--there's no room for anything else in her life. But when Jared uncovers the truth, she realizes her days of running from the past are over. But can she forgive Jared long enough to accept his love?